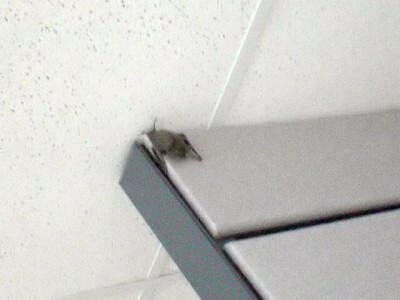 Fellow developer and former mentee Pratik Bhadra has posted a photo of this bat, perched from the ceiling in the sixth floor of the Truchard Design Center, who knows for how many hours, about three meters away from my head, watching me, studying my every move, preparing to pounce me. It’s happened before. The bat doesn’t stand a chance against my quick reflexes, superior strength and uncanny spider-sense. Or maybe the poor thing was scared shitless. Who knows. Previous PostPhoto of the day #5Next PostMacBook inspiration?